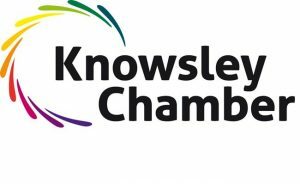 The Chamber is a membership organisation for local businesses to participate and become part of a supportive local business community. A membership fee is payable upon joining and thereafter an annual subscription is payable. The member ship fee pays in part for the inclusion of your personal identifiable information (PII) on the Chamber’s member directory, for the legal expense insurance that is attached to membership and for access to legal specialists via the QDOS legal helpline. This Privacy Statement describes our practices for collecting, storing and processing your PII and the controls we provide you to manage it. PII is any information that can identify you, such as your name, email or street address, or it may be information that could reasonably be linked back to you. We collect your PII at the point you complete a Membership Application Form. We process, store and retain your PII during the period you are a member of the Chamber. If you decide not to become a member we will delete your PII from our servers. We collect your PII at the point you engage with the Working Well programme. We process, store and retain your PII during the period you are engaged with the Working Well programme. If you decide not to engage on the Working Well Programme we will delete your PII from our servers. We collect PII about you in order to enter into a commercial relationship, this can be at an early stage (pre-engagement) and/ or at contract stage. As such we do not rely on your consent to collect and store your data as without the data we collect we cannot provide the membership services for you, or provide information and support regarding the Working Well Programme. Therefore, processing is necessary for the performance of a contract with you, or to take steps to enter into a contract with you. Additionally, processing may be undertaken for the purpose of furthering the legitimate interests pursued by the Chamber, except where such interests are overridden by the interests, rights, or freedoms of you, the data subject. •	We will request your explicit consent to send you our newsletter and event information which may contain marketing material. •	We will request your explicit consent to include your PII as provided on our website member directory. •	We will request your explicit consent to send you information and provide support under the Working Well programme. Contact Information – includes your name, business name, address, contact names, email address and your phone number(s), staff numbers, bank account information, how long you have been trading and in which sector. For Working Well we will require the above information and data on staff gender (number of male/female staff), part-time/full-time workers, number of days absence and reasons for absence. We use your PII to allow the Chamber to engage with you to provide membership services, such as information regarding meetings, newsletters, or network events. We will use your PII to provide support, information, advice and guidance for the Working Well programme. •	The Chamber does not share, trade or sell your membership PII with third-parties. •	As we are a Local Growth Hub partner (April 2018 – March 2019) we are required to enter your basic details (company name, address, telephone number, email and nature of enquiry) on a common system (Evolutive) which is used by other Local Growth Hub partners to monitor and record support across Liverpool City Region and to avoid duplication. •	We will share information on Working Well with Knowsley Public Health. We do not transfer personal data to any third-party recipient other than those shown above. The regulations provide a number of rights to you as the Data Subject. The Chamber is committed to upholding those rights, and those applicable to the PII we collect and process are listed below. In addition to these rights, you have the right to escalate any concern to the Information Commissioners Office www.ico.org.uk. You have the right to know what personal information is held, by whom and why. You can send a Subject Access Request to see what personal information and any supplementary information relating to you is held by us. We will provide you with the information we hold within one month of your request, unless the provision of that information is particularly complex, in which case, we may extend the deadline by a further two months. This information will be provided free of charge unless you require multiple copies of the same information, in these circumstances, we retain the right to charge a reasonable administrative fee.